Great interior design ideas come in all budgets! There are so many cool furnishings available online but not all fit in your budget. My recommendation is to start by discovering your “dream” piece and then finding the look for less. This week I absolutely fell in love with a classic, modern swivel chair from RH Modern while working on a project for a client who lives in a loft apartment in Chicago: Luke Leather Chair in Italian Milano Leather in a color called velum. 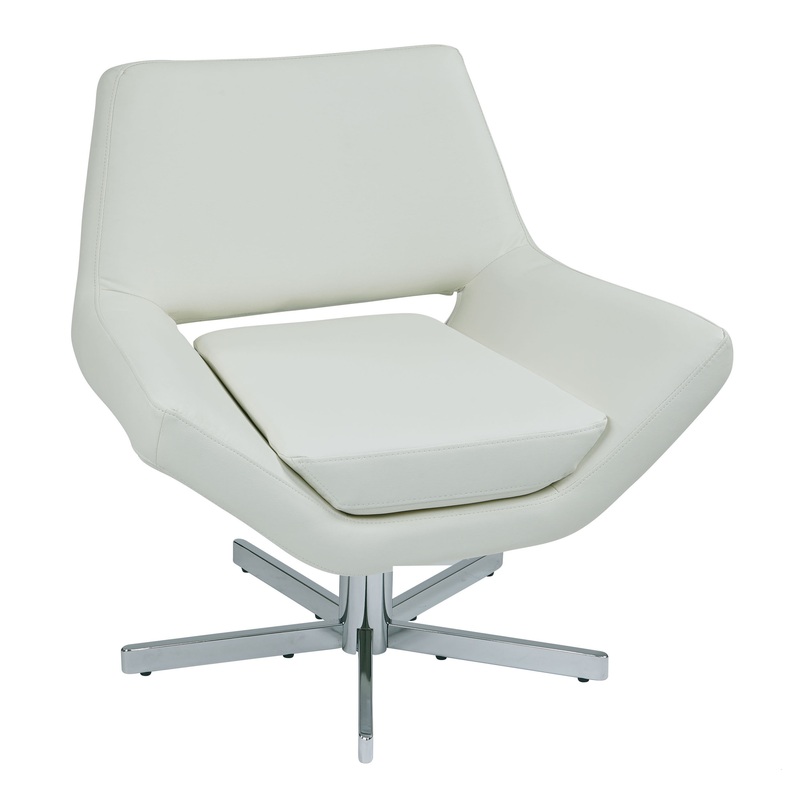 The swivel base is in polished stainless steel and the lines are classic. This chair would be a show stopper in a modern living room! But, sadly, this beauty was nowhere close to fitting in the budget with a price tag of $3,225.00. I was able to find an awesome alternative at Overstock. With a chrome base and similar lines to my RH Modern crush, this chair is a bargain! Granted we have replaced the Italian leather with a faux leather but at a fraction of the cost ($214.19), this chair allows my city apartment dweller to have the right look and still pay the rent. Visit our blog on Interior Design Service Online or follow us on Facebook for more interior design ideas and knock off finds each week!